Welcome to Al Khoory Hospitality, a subdivision of the Al Khoory group that is a conglomerate with diverse arms in different business sectors. Al Khoory Hotels are Located in close proximity to the Iconic Mall of the Emirates, Jumeirah Beach, Dubai World Trade Center, Dubai Media City, Dubai Internet City and The Dubai Mall. Built around the concept of providing memorable and cherishable family vacations, We take pride in offering a fresh level of refined living environs of comfort, safety, privacy and sophistication. 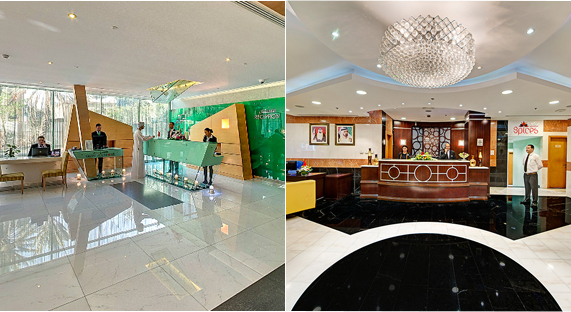 Al Khoory Inn’s convenient location to Dubai’s historicheart and Central Business Districts makes it the number one choice for bothbusiness and leisure travelers. Enjoy easy access to popular tourist locationsincluding Historic buildings and Museums, Al Fahidi Souk, the famous BankStreet, Consulate General Offices and renowned Shopping centres. The hotel isalso in walking distance from Burjuman Mall and Al Fahidi Metro station. Blending contemporary amenities with personalised services,our elegant as well as attractive rooms ensure guests have a truly welcomingand relaxing retreat every time. Guests can choose to dine-in at Spices, our all-day-diningrestaurant serving global cuisines. The restaurant serves buffet breakfast, anda la carte for lunch and dinner. A deli serving freshly brewed coffee, yummysnacks and ice creams is also part of the hotel. The hotel is scheduled to open during the last quarter of 2017. For more details, contact +971 4 314 6200.